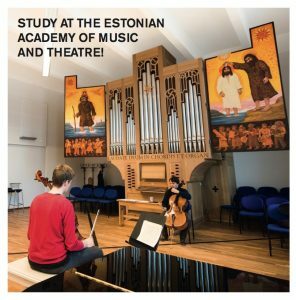 In 2019 entrance auditions for bachelor and master's levels are held from April to June. EAMT always prefers you to audition in person, but international applicants are allowed to submit an original video recording of their performance as a substitute for a live audition. Candidates can only pass the entrance audition by video recording if the examination panel has no doubts about authenticity of the recording, the quality of the recording is sufficient for evaluation and the candidate's performance meets the highest standards, clearly exceeding the admission threshold.